Shane Stone is the Chairman of Iris Residential and its parent company Tribis Pty Ltd, with which he has shared a 20-year association. Shane brings to Iris Residential substantial experience as a former director of entities in Australia and the United Kingdom with annual turnovers exceeding $3.5 billion. On being appointed Chairman of the Order of Australia Council at the beginning of 2018, he resigned many of his directorships. Along with chairmanship of Iris Residential and Tribis, Shane remains a director of Australia Pacific Coal Limited. Shane is a former Chief Minister of the Northern Territory and was Federal President of the Liberal Party during the term of the Howard Government. Prior to those positions, he was a barrister in Victoria and New South Wales, a legal practitioner in the Northern Territory and, as First Law Officer, received a Commission as Queens Counsel in 1997. He has an extensive background in philanthropy and is an alumnus of the Australian National University, Melbourne, Adelaide and Stuart universities and a former Visiting Fellow at the Lauterpacht Centre for International Law, Cambridge University. Shane was an elected Member and Fellow of the Australian College of Educators and a Fellow of the Australian Institute of Company Directors, the Australian Institute of Management and the Financial Services Institute of Australasia. He was made an Honorary Life Member of LAWASIA in 1996. His various Government appointments include, most recently, Chair of the Northern Australia Advisory Group informing and advising the Commonwealth White Paper on development of Northern Australia. Shane was conferred a Companion of the Order of Australia (AC) in June 2006 and holds awards from Indonesia and Malaysia. Simon Trevisan is the managing director of Tribis Pty Ltd, and of the company's property arm Iris Residential Pty Ltd. He has significant experience in public and private investments, corporate finance, and management of large public and private businesses. Mr Trevisan has been responsible for the funding and management of a number of public companies, and for the Group's substantial property investments. His experience includes the establishment and listing of Mediterranean Oil & Gas plc, an AIM-listed oil and gas company with production and a substantial oil discovery in Italy, the successful listing of Ausgold Ltd and Regalpoint Resources Ltd, and the relisting of Brazilian Metals Group Ltd amongst other ASX-traded companies. Mr Trevisan was a founding Executive Director of ASX-listed companies Ausgold Ltd and Regalpoint Resources Ltd. He holds a Bachelor of Economics and a Bachelor of Laws from the University of Western Australia, and a Masters Degree in Business and Technology from the University of New South Wales. Before becoming a full-time executive with Tribis, Mr Trevisan practiced as a solicitor with Allens Arthur Robinson Legal Group firm, Parker and Parker, in the corporate and natural resources divisions. He is also currently a Director of ASX-listed public companies BMG Resources Limited, Zeta Petroleum plc and AssetOwl Limited, and is also on the board of St George's College Foundation. Mr Trevisan is the Chairman of the Audit Committee and a member of the Risk Committee. Tanya Trevisan is primarily responsible for managing the design, planning and construction of Tribis' property development operations, and is Chief Operating Officer of Iris Residential Pty Ltd. She has substantial experience in project managing all aspects of large built-form property projects, she is a Fellow of the Royal Australian Institute of Architects, she studied architecture in London and at the University of Western Australia, graduating in 1988. Ms Trevisan has over 30 years of national and international experience in property development, with a particular focus on multi-residential and mixed-use projects, and was involved in large scale inner city redevelopment projects in London, Berlin and Sydney before returning to live in Western Australian in 2004. Since then, she has played a major role in establishing mixed-use, commercial, heritage, green-star and englobo land projects in Western Australia and Victoria. Tanya is a regular guest speaker and panellist for the PCA(WA) and has previously been a guest speaker for the Royal Australian Institute of Architects (NSW) and the Green Building Council of Australia (WA), with her particular focus on apartment design and the density debate. Tanya was WA president of the Property Council of Australia (2017-2019), and a national director and board member of the Property Council. She has also lectured on and taught architectural design at two universities in NSW (UNSW and UTS) and is a member of the Design WA Advisory Group. Fleur is an Executive Director of Tribis and Iris Residential Pty Ltd.
She is responsible for all legal, contractual and corporate governance aspects of Tribis, including external legal advisors, consultants, builders and sales agents in relation to contracting, compliance and related matters. She also plays a major role in managing the company's joint venture relationships and financing arrangements. Mrs Hudson has a Bachelor of Arts, a Bachelor of Laws, and Master of Laws specialising in dispute resolution, and practiced as a solicitor with large national and international law firms in Perth and in London from 1997 until 2009, specialising in construction law. As a solicitor, she has advised large national and international contractors, engineering subcontractors and consultants and principals on a range of residential construction projects (particularly high-end inner-city apartments), civil construction, infrastructure, marine construction and commercial issues. Mrs Hudson is also the Company Secretary for ASX-listed AssetOwl Ltd and Neurotech International Ltd.
Maggie Win joined Tribis in 2005, and became head of the accounting team in 2009 - a role which sees her responsible for all aspects of the company's finances, including preparing annual reports in accordance with IFRS, monthly and quarterly management financial reporting to Directors, year-end consolidated audited financial reporting and maintaining accounting records for all of its managed private entities. Ms Win holds a Bachelor of Commerce degree majoring in Accounting and Finance and an Advanced diploma of Accounting, and is also an associate member of CPA Australia. Sean Meakin has a Bachelor of Business degree majoring in Accounting, and a Bachelor of Information Technology degree majoring in Information Systems from Charles Darwin University. Sean is a Chartered Accountant and an associate of the Governance Institute of Australia. 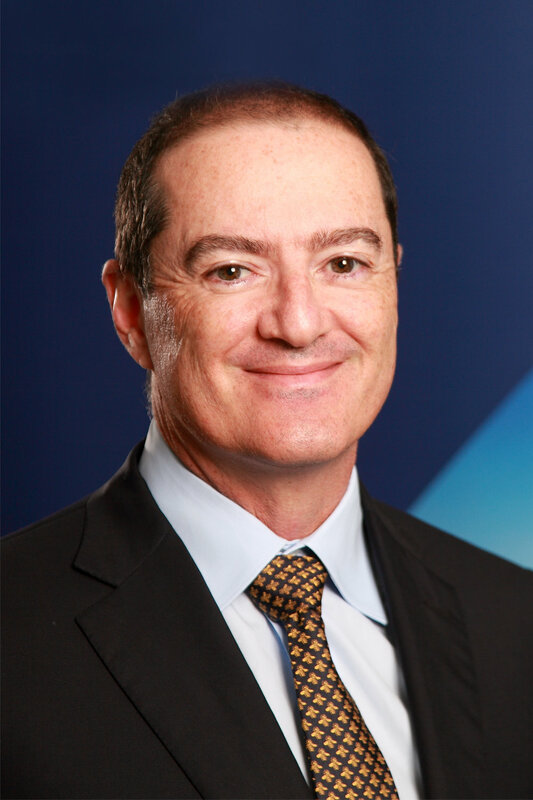 Sean was appointed as Company Secretary of the Company in March 2018, he is also joint Company Secretary of Zeta Petroleum PLC (ASX: ZTA). Sean works closely with the Company’s finance team for the preparation of Company’s annual report and half yearly financial report. Bruce works with Tribis on business development opportunities. An experienced business executive, he has worked across a broad range of industries in Perth, Melbourne and Sydney over the past 20 years – including previous senior executive roles with the Kirin Group-owned Lion Pty Ltd and the privately-owned Amatek Group, now part of the Fletcher Building Group. Prior to his corporate roles, Bruce worked as an investment banker in Perth and Melbourne in specialist corporate advisory and project finance roles across a broad range of corporate and financial advisory assignments, including the commercial property sector. He has also practiced as a banking and finance solicitor. Bruce holds Commerce and Law degrees from the University of Western Australia, an MBA from Melbourne Business School and is a graduate of the Australian Institute of Company Directors. He is currently the Managing Director of ASX-listed BMG Resources Ltd, and an Executive Director of ASX-listed AssetOwl Ltd.